There are few hair salons in the city centre that cater for Afro-Carribean ('black') hair, and few salons in the centre, that also 'do' black male hair. I don't mean a barber shop, but a salon that will put weave, or hair extensions, relax or perm a mans head of hair without turning up their nose. Salon Revolution, however, have been caring for my friends barnet for the past five years and he is forever talking about the quality of service and quality of hair you can get in the salon. I'm a bargain hunter, however, so I was a bit sceptical when I wanted them to put a caramel-coloured weave in my unruly mane, and then dye and straighten the 'top bit'. If you're used to hair extensions, braids, and weave you'll know what I'm talking about. With trepidation I dialed the number, and booked myself in to get my hair 'did'. 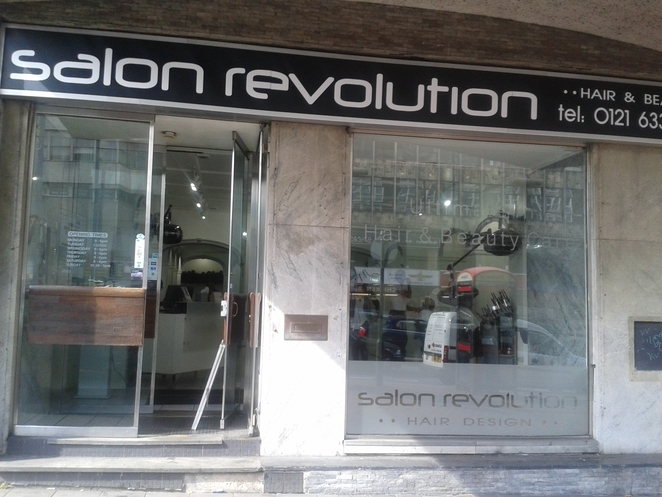 Salon Revolution cater for black hair, but are happy to put extensions in European hair. They start by washing and conditioning your hair, and considering my past experience, my hairdresser was surprisingly gentle. The pain was yet to come. After brushing out my hair (which took half an hour), the hairdresser seperated my hair using a comb, asked how much I'd like out at the top, and began to cornrow and sew my hair. This was painful. It's not often that I cornrow my own hair because it takes so long, but my hairdresser must have been on a time-limit because although she plaited and sewed my hair in an hour, there were times when I winced as the tightened the cornrows. 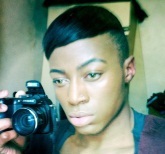 Once my hair was 'flat' I selected the hair colour of my choice, and she began to weave my new blonde extensions in. I was surprised at her speed, and after an hour and twenty minutes all of the hair was in. In all honesty, to tame my hair is a feat, but I expect it from professionals. To wash, condition, cornrow, weave, dye and straighten my hair, however, deserves a medal. I was happy with the finish, and although my stylist was a little bit rough with me, I had to be out of the salon by midday. I was in the stylist's chair for 8.30am and was out by 11.45. For £85 that's not bad in my books, not bad at all. Once I'd left the salon all of my friends thought the weave was my real hair, and all thought I'd dyed my whole head because the 'top' small section of my real hair blended so well with the human hair weave. I wouldn't go to Salon Revolution for a monthly trim (from £20 depending on hair length) because I can't afford it, but for a whole new 'do, it's the best afro-hair care salon in town, and my weave lasted two months.